I just want to say that there's sewing, and then there's sewing. Emily made this pillow yesterday. It's quite an ordinary pillow - two rectangles sewn together, stuffed partway through the process, and sewn up completely by the end. She decorated it with fabric markers and presented it to the younger sister whose BFF it was made for. The appropriate thank-you was said, and Bunny (the BFF) went to bed with a new pillow. While it was all happening, I'd watched the proceedings in a semi-distracted haze - I'd been working on Owie Doll accessories and cooking supper and therefore, mentally, I wasn't quite all there. And, besides, making and creating happen all the time in this house, right? This was an evening like many others here. Later, when my mind was empty again, I thought back over the day. My eleven-year old is now an independent seamstress. Let me break it down for you - those proceedings that I'd watched in my fog of dinner prep and glossed over as if they were status quo. This child made this pillow all by herself. That is not a big deal for those of you whose children are already handmaking their own garments at age 5. It is, however, a big deal for me because she made it all by herself. Specifically, all by herself, she decided she wanted to make something for Kate. And, all by herself, she got out her sewing supplies, made her measurements, added her SA, cut out the fabric, stitched away on my sewing machine, stuffed the pillow, sewed up the opening, and embellished it. And cleaned up after. While I was upstairs preparing supper. And not in the same room helping her. All I remember was her asking, "Mom, can I sew this up myself? I know how to use the sewing machine." "I know how to use the sewing machine." If that isn't music to a sewing mother's ears, I don't know what is. Even more of a big deal to me, is how she made the pillow. Did you miss it in that earlier paragraph? "And, all by herself, she got out her sewing supplies, made her measurements, added her SA, cut out the fabric, stitched away on my sewing machine, stuffed the pillow, sewed up the opening, and embellished it." My eleven-year-old had just taken her very first step on the amazing journey we call drafting. she simply eyeballed Bunny, measured her fabric according to the user of her finished project, visualized her seam allowances, added them around her seamlines in her layout, and cut. And sewed her first independent project. Now, the tailoring journey is a long one, and it will be quite some years before Emily - or her sisters - are able to draft and sew prom dresses and suchlike. But this is how it begins. And while I'm slowly working with my kids on easy stuff like toys and bags, I am always thinking about how to introduce them to garment-making. I will confess that I had seriously considered starting them out with commercial patterns, because it's an easy shortcut, and because it's the way it's done here in the US, where they'll be living (and hopefully sewing) for most of their lives. But now, I think that maybe, they might be ready to sew old-school. After all, it isn't about whether the project is simple or challenging; it's about how we make it, how we get from start to finish. As my Aunt Laura always says, "If you can visualize it, you can sew it." It's the mindset, the philosophy: if you can draft a bag, or a pillow, you can draft a garment. I'm not in a hurry. I'm happy to wait for them to be ready, for them to be the ones to say, "Mom, I need to make a skirt. Can I sew it? I know how to use the sewing machine." And when that happens, I'll say, "Well, then, cooking can wait. Let's order in, and I'll get out the drafting paper." I say this in a completely not-sarcastic way: this post practically brings me to tears. This is exactly what I dream for my own children (though I will ::gasp:: be utilizing pre-designed patterns, as alas, I have not learned to draft myself...). 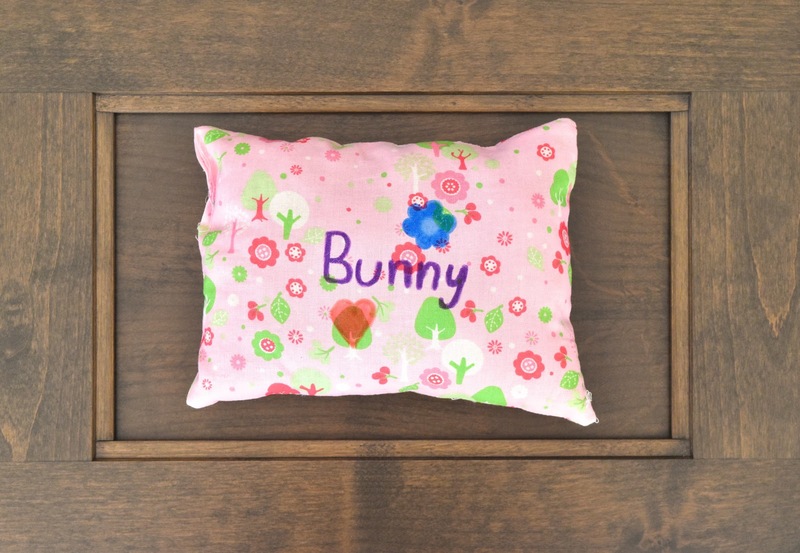 I have started teaching my little girl (almost 4) to sew, and whenever she asks me "can I sew a pillow for [insert name of stuffed toy here]", my heart sings. Thank you so much, Natalie! And brava for teaching your 4-year-old to sew! Way to go, Emily! Not only for making the pillow, which was super cute, but for showing your love for your sister and her BFF - how very nice of you! And way to go Mom, too, for getting her going in the right direction! I can't wait to see future projects! Yeah! I noticed that too. Sisters are important and so cool. Yay Emily! This is an amazing first drafting project! I'm so happy for your household right now. So fantastic! I love those stories of independence and mastery, because while it's about sewing (YAY), it also about life. Excitement is definitely in order. What timing?! I had a similar moment a week or two ago! My almost ten year old wanted to make her 18'' doll a jacket. 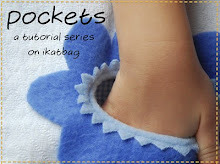 "But not a tight jacket - a loose flowey jacket that will fit over any clothes underneath. How do I make that Mommy?" I was in the middle of something so I just grabbed a piece of scratch paper and drew her the basic 't'/cross shape with the vertical part of the 't' being the front and back, the horizontal part being the sleeves, a hole in the middle for the head and a slit down the center front. Thats it - three lines in pencil. She disappears. Half an hour later she comes to the kitchen with her doll wearing a kraft paper jacket. Pretty much properly fitting. "Like this?" she says. I said "Yes, exactly like that'' after I picked my jaw up off the floor. She disappears again. Dinner happens. After dinner I said I'd give her a few pointers on laying it out on her ruffly fabric. "Already done" she says. I peeked at it. It was on grain. With the ruffles all pointing the right way. She cut it out and only asked for my behind-the-chair-supervision while she serged the two underarm/side seams. Done. Her doll had a loose jacket that would fit over clothes. She was thrilled. I was over the moon thrilled with her process and independence. She doesn't know how awesome it is that she drafted and sewed what was in her head. Sew on girls! Oh, Anne - I loved reading your story. Truly. And the bit about "It was on grain." made me laugh out loud. Only sewing people will see the huge significance of this! Normally I wouldn't care about grainlines for kid-made doll clothes but it was that fabric that has ruffles that hang loosely from it. You've used it for dresses. I've made skirts with it. The look of the jacket would totally depend on how you lay it out, you know what I mean? 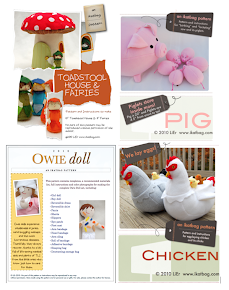 :) Check out here for our latest kid sewing project... www.awillingworker.blogspot.com. Inspired by you, i helped my 7 year old measure and "draft" a pattern for a felt version of her favourite shopkin this afternoon. Seeing and embroidery tomorrow! Sew little time: Yeah! Share photos of the finished Shopkin! My girls will surely ooh and aah! In the scout troop my boys have been in, the ultimate compliment for a kid is that he did something "without being asked" (there's a custom mini badge for it), and the stakes go up the older they get (fundraising and building the playground for the orphanage in Quito being the gold standard). SJ Kurtz: yes! And there should be a special mini badge for Cleaning Up The Mess After Sewing. I may or may not ever earn mine, though. Loved this story!Please keep us updated. Most interested to know how you would start teaching drafting to a young child? So exciting!!! This is how I learned to sew. This is so amazing! I've been sewing with my 5-year old for a year now, and this summer she made her own dress. Sure I held her hand very step of the way, but except for the actual drafting and the button hole she did everything herself. I can't wait for the day when she goes off and does something completely on her own! That is pretty darn cool! Your kids make me want to have them sooner rather than later. 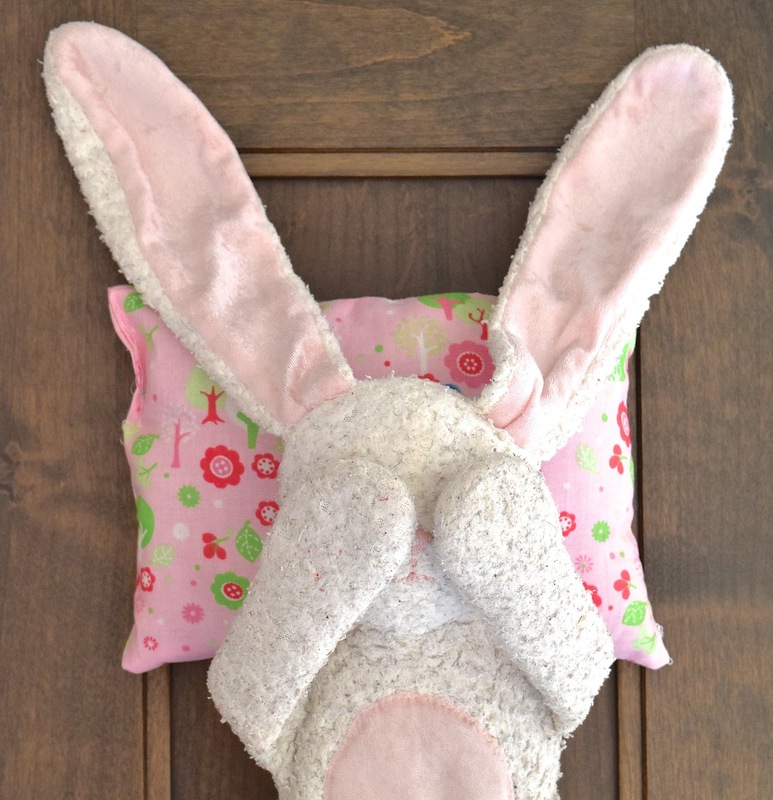 Do you have a pattern for the floppy ear rabbit you have shown? Your daughter is amazing.